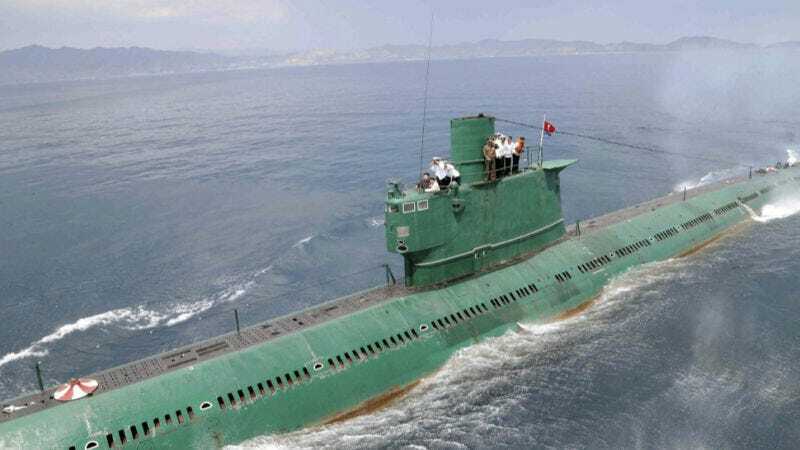 As China continues to strengthen its presence in the South China Sea with new military installments built on man-made islands, North Korea may be implementing a similar strategy with new islands its building in the Yellow Sea. Satellite images have revealed that North Korea has seemingly been hard at work developing what used to be little piles of rocks off its coast into what appears to be a cluster of heavily developed islands, possibly for use as military installments, in just the last five years, according to Damen Cook, a researcher with Strategic Sentinel writing for The Diplomat. While North Korea’s islands aren’t nearly at the scale or scope of China’s efforts in the South China Sea, their proximity to the western coastal city of Sohae suggest they may be involved in the country’s missile tests and missile launching capabilities. The detailed report over at The Diplomat has high quality images showing these new islands with freshly paved, wide-sweeping roads that could be designed for missile transport and large, missile-launching vehicles to navigate. The report determines that, if these new islands are part of a military installment, they may be underground missile silos, as the satellite images suggest the infrastructure is evocative of what that architecture would look like. The report does make sure to point out, however, that these newly developed islands may not be part of a military operation at all, and instead may be for other civilian or agricultural purposes. It’s also possible that they’ve been engineered for both civilian and military use. But considering their geographic location around Sohae, where North Korea’s ballistic missile efforts are increasingly focused, it’s not a stretch to imagine that North Korea is taking a few pages out of China’s man-made island military strategy.